I work with artists and musicians from all across the globe and sending songs or tracks over the internet is a modern luxury but it's also the cause for a lot of logistical frustration. Everyone uses different DAWs, different plugins, different interfaces, etc - this makes sending sessions and tracks sometimes a tricky situation. With a little extra thought and care you can make everyone else's life easier and also ensure the highest quality productions possible. One of the biggest issues I have to deal with as the producer/engineer/mixer on a collaborative project is ensuring all the additional tracks are exactly where they're supposed to be. Even being off by 10ms has a noticeable impact on the feel of a song. If you're not carefully combining elements, things can easily get shifted and if you aren't mindful this can lead to major groove issues. 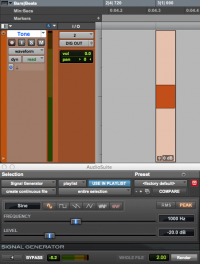 Rather than trying to calculate the exact amount of error and compensating for it I've found a couple of very simple tricks that anyone (even a drummer) can do to help keep all of your tracks perfectly synced together. Always start your stems and bounces from a downbeat. Include a tone or click to signify an exact starting point. Include bounces that will be helpful to your collaborators - for example even if you hate the scratch vocal it helps the trumpet player to know what the melody is and where he should play. If you are unsure of what the musician will want to hear send a couple options and/or stems. 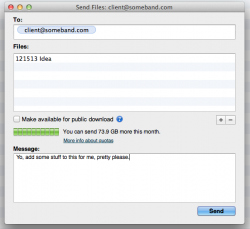 Put the tempo in the filename or email message, don't make them guess. When sending back tracks to add to the master session MP3s are not acceptable!!! What I usually prefer to do is to print a bar or two of click track leading up to the first downbeat. This gives whoever you're sending the tracks to a chance to quickly tell if they are working on the same grid as you are. If you're working with no grid or just on a section or segment of a song another clever and easy way to help your collaborators sync things up is to copy a little 2-5 sec clip of the original track into the the beginning of each track you're sending back. When you receive files with a little clip of the original 2-track you can easily align the waveforms with the tracks already in the session and then simply trim off the reference portion of the region. Hopefully you've set up your session to be capturing as high a quality signal as possible, even if it's above the quality of the file you received there's no harm in tracking at a higher sampling rate or bit depth. I generally do 44.1k/24bit for normal music sessions, 48k/24bit for anything that's main purpose is for video, and occasionally I'll do 88k or 96k if it's for something that may need that extra detail. Please!! Make sure you export the files at the highest reasonable quality, there's no sense downsampling or chopping off bits unnecessarily and NEVER EVER export as an MP3. Zip all the relevant files together and give the file a descriptive title with the BPM and your initials, now things are ready to pass along. Google Drive - again out of all the cloud storage services I prefer Google Drive because it's integrated with Gmail and other Google services plus it's cheaper than Dropbox. Gobbler - is specially made for transporting sessions and large files, it's super fast and easy to use. It can also serve as a cloud backup but I often just use it to transfer, they use some sort of magic fairy dust to make transfers happen faster than anyone else. 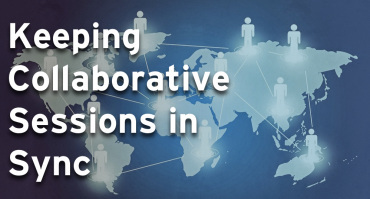 As the music creation process continues to rely more on long distance collaboration, DAWs will continue to adapt to streamline the exchanging process. 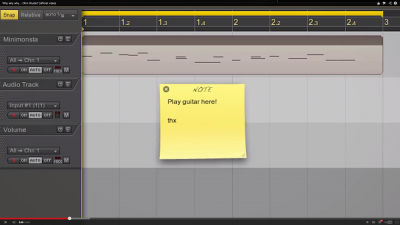 Pro Tools for example now integrates with Gobbler to make sending sessions a one-step process. I've recently been looking at Ohm Force's new Ohm Studio which as far as I know is one of the first DAWs built entirely for collaboration and working in the cloud. Though it may be missing some advanced features you'd find in other DAWs the seamless workflow for long distance music creation is awesome. I wouldn't be surprised if in the next couple years you see some these types of features starting to creep into more established DAWs. I'd love to hear about some of your stories of passing around sessions and files, both disasters and successes, leave a comment below. Already have an account ? Connect now !